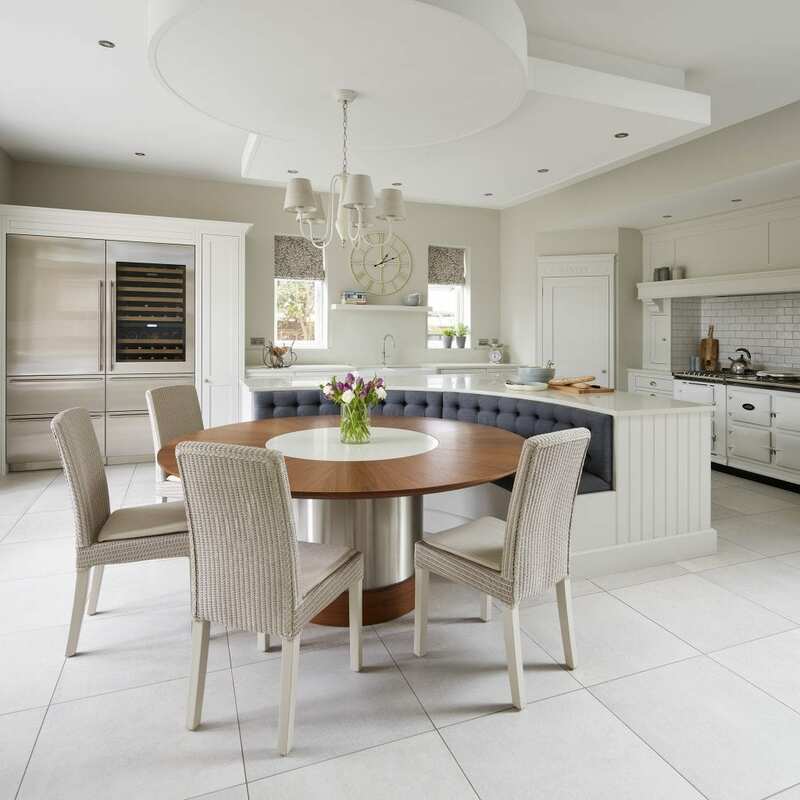 The kitchen of this six-bedroom Victorian property on the Essex coast required little in the way of structural changes – at 7m x 6.5m it was of more than adequate size to be a perfect entertaining space. However, the kitchen that the owners, the Lords, inherited was far from their dream space. 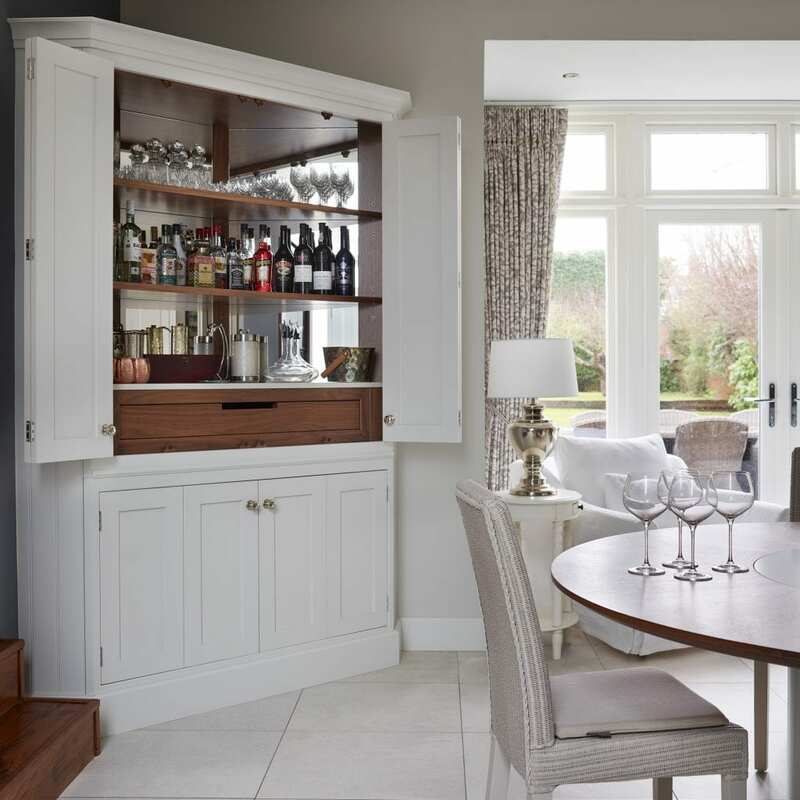 The room was dominated by a large dining room table and the couple wanted more consideration given to different areas for food prep, serving drinks and relaxed seating. The couple were also keen to introduce a more neutral colour palette to the room – something that reflected their location on the Essex coast. 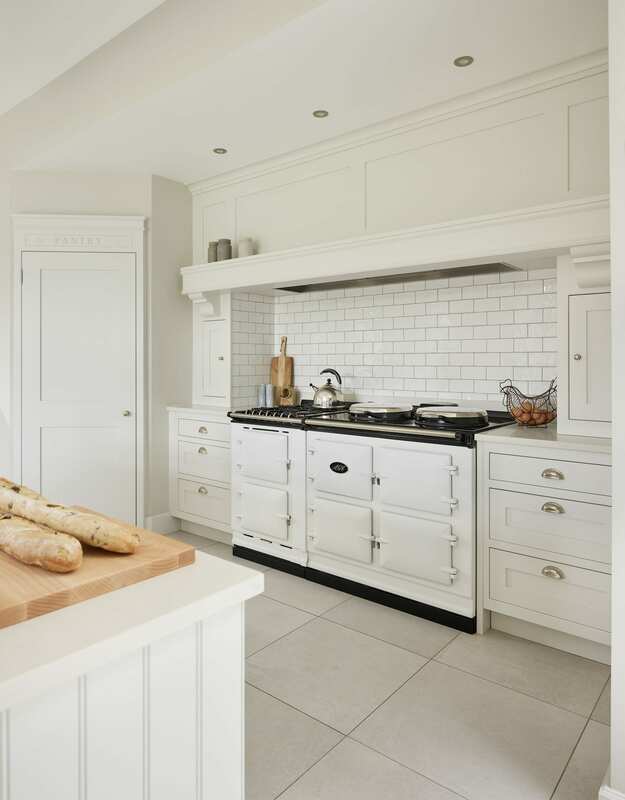 Having become accustomed to the AGA way of cooking due to the model installed by the previous owners, this was one decision that the couple had made before appointing their designer at Davonport. However, keen to be more energy efficient, the Lords selected a newer dual control model in white. In easy reach of the walk-in pantry, it became the focal point of the food preparation and cooking zone. 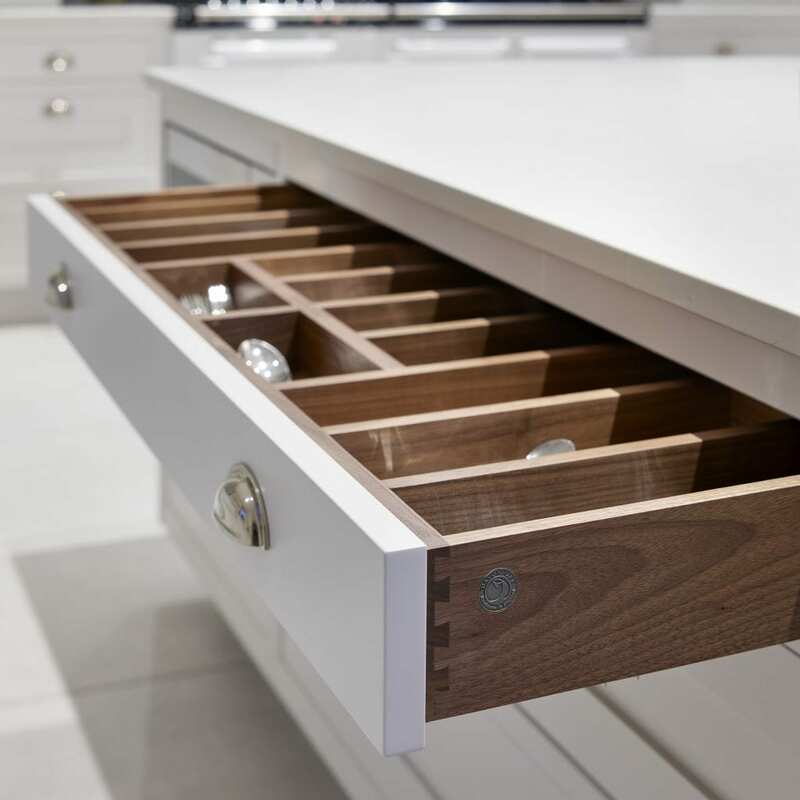 Davonport Tillingham cabinetry helped to meet the brief of bringing a light and airy feel to the room. 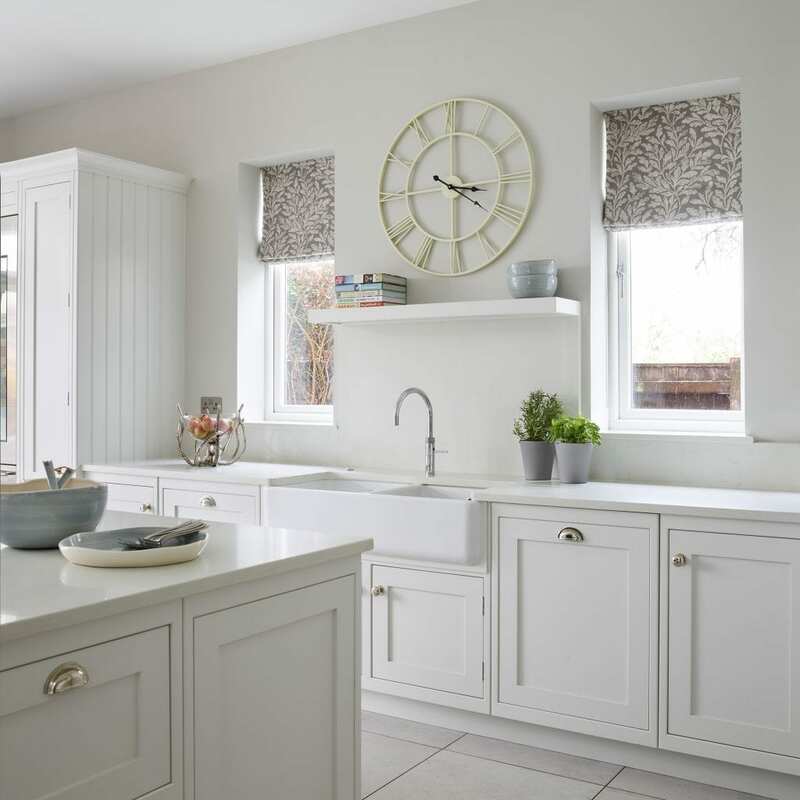 The shaker style is both elegant and simple; and when handpainted in the Little Greene shade of French Grey Pale with light quartz worktops, a fresh, coastal charm was very much in evidence. 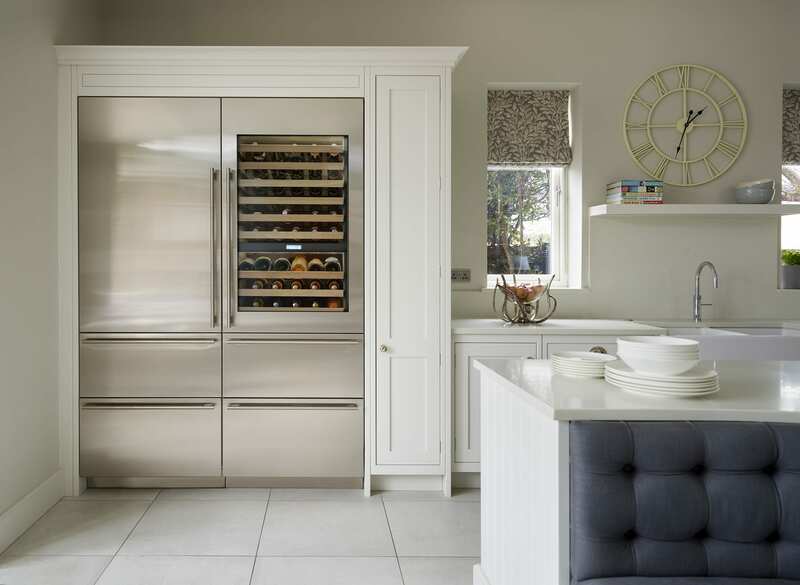 The drinks area and Sub-Zero wine cooler are both located in the opposite corner of the room to the AGA, allowing both the chef and the host to have adequate space to perform their tasks and welcome guests. 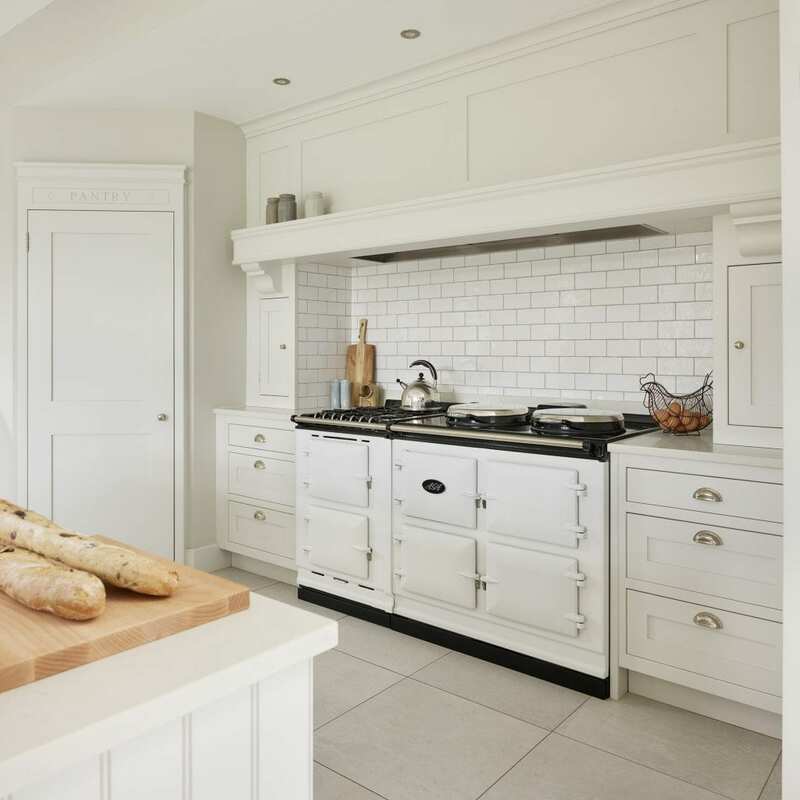 In juxtaposition to the traditional aesthetic of the AGA, the couple chose a modern stainless steel finish for their appliances, which also helps delineate the zones within the kitchen. The adjacent drinks cabinet continues the understated theme from outside, but when the bi-fold doors are pushed back, a stunning array of mirrored glass, quartz, and sparking barware are revealed. 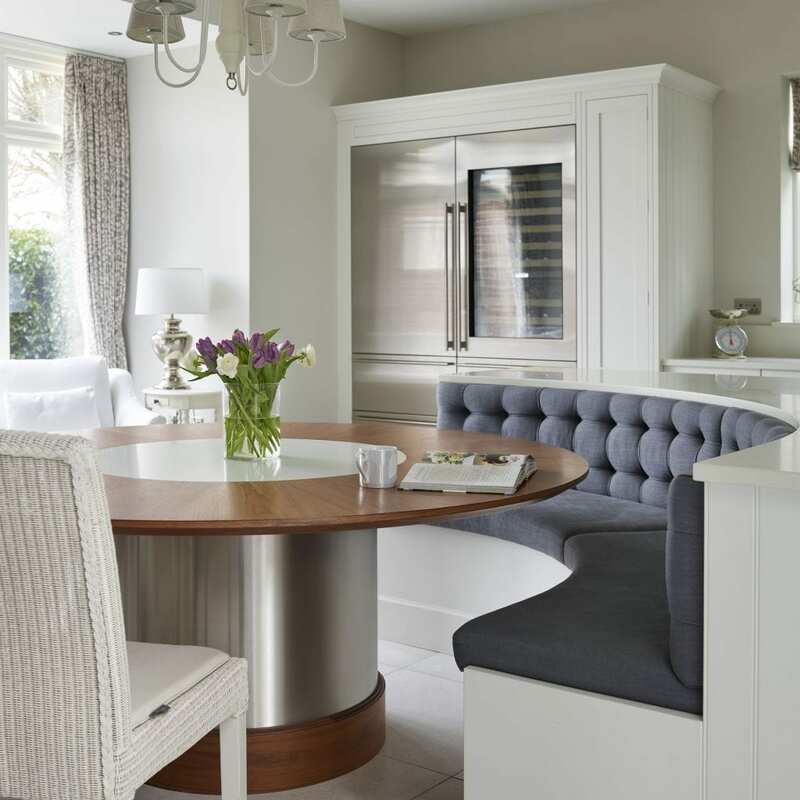 The focal point of the room is a large island unit which on two sides follows the geometric lines of the walls and on the other, gives way to a stylish curved, banquette seating area. Upholstered in a steel blue colour, the seating is the deepest of the shades used within the room’s palette and adds both impact and shape. The curve perfectly hugs the edge of the fixed table and with the addition of four loom dining chairs, ten people can now dine in style. The dropped ceiling could be considered the fourth zone in this kitchen: mirroring the curves of the island and banquette seating.. Not only that, it allowed the couple more scope to make decisions about the lighting – and in particular includes a dramatic halo uplighting effect. 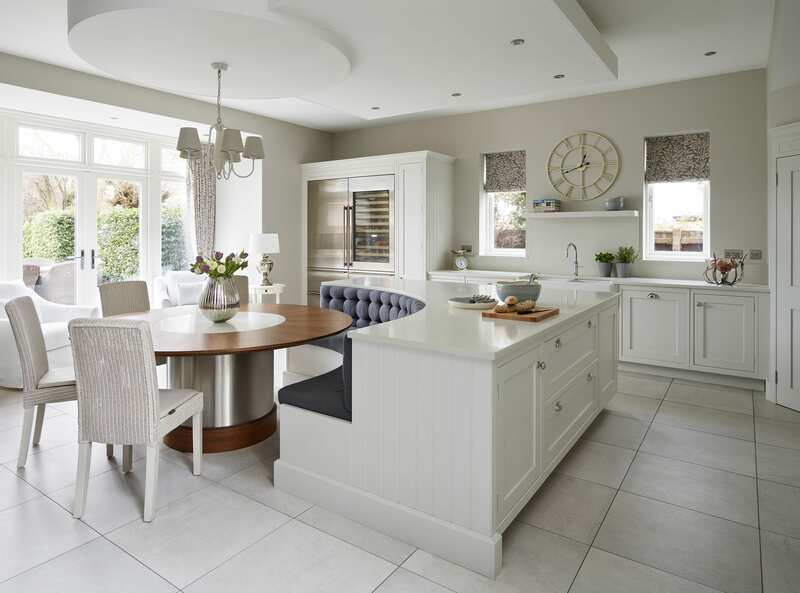 Because the island unit combines both worktop and seating in an efficient way, the Lords were also able to incorporate a much sought after quieter area in the room, with two comfy occasional chairs positioned perfectly with views out to the garden. “Even in a large space such as this, incorporating both a large island and a dining table can look too cluttered. Banquette seating is such a great solution in these circumstances as it meets the brief but also becomes a very dramatic defining feature of the room.” Richard Davonport.